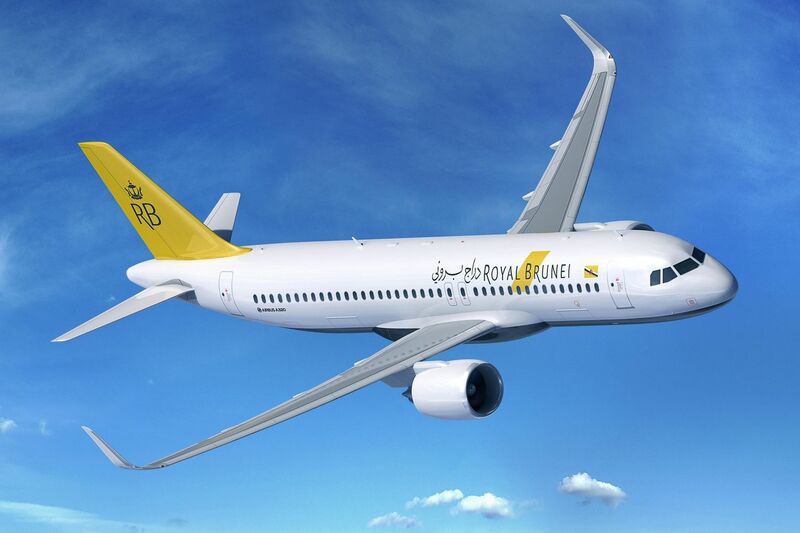 Royal Brunei Airlines will begin flying to Brisbane from 11 June, opening up another one-stop connection to London as well as alternative routes across Asia via Royal Brunei's home hub at Bandar Seri Begawan. Passengers can plan their trip around four flights pr week, departing on 5.30pm on Monday, Wednesday, Thursday and Saturday, with Royal Brunei's single-aisle Airbus A320neo making the seven-hour journey. Its 12 reclining business class seats are arranged in a conventional 2-2 layout across three rows. Each has a 42-inch pitch with a 22.7in seat width and 10-inch recline, is equipped with dual AC/USB sockets and includes a 10 inch video screen. Royal Brunei's Airbus A320 neo jets also have 18 'preferred' economy seats with 32 inches of pitch compared to the standard 30 inches in economy. Brisbane is the airline's second Australian destination, with the airline already flying a Boeing 787 from Melbourne to London via Brunei. Great news for BNE. Just hope I don’t sit next to someone with BYO alcohol and drinks it all in a hurry before it gets confiscated in Brunei. Non Muslim people are allowed to bring in a set quantity of alcohol. Something like 2 bottles of spirits and a 6 pack. I’m sure AUSBT will advise. First time I flew RB about 20 years ago from SIN to DRW I was horrified to see when they called the flight in the lounge, all the passengers got up and started stuffing their pockets with beer cans. Once I got on board I asked for a G&T only to be told by the air hostess they don't serve alcohol! Nice to have them return to QLD. Good to see BI back in BNE, especially on the A320neo enabling more or right-sized frequency. Although, correct me if wrong, the recliners on the A320neo for J pax ain't ideal for J pax booking through to LHR via the Brunei hub. Considerable difference in product. Who is going to pay to sit on an A320 even in Business for 7 hours? Fares better be super competitive considering its also a dry airline. Aside from J, the Y product is almost identical. What’s the difference from being in 3x3 versus the 787 in a 3x3x3? The seat is the same, service the same. BI for those who are aware are always competitive. But realistically speaking you would have 2 lunch or dinner meals the whole way through. How much alcohol on a plane do you think you’ll be allowed to have on another flight? Feel free to correct me if I am mistaken, but QF's B787-9 Y seat is 32" pitch, not the 30" pitch being offered by Brunei. So the pitch is different and the service level is also. I agree that Royal Brunei offers a compelling product for the price-sensitive traveller and are able to also do this on the NEO with a basic J product, but a QF emulator it isn't. I don't think he was comparing QF and BI, he was comparing Royal Brunei's 787 to their A320. Ok so based on GDS pricing... to give everyone peace of mind. The fare from BNE-BWN in D class is AUD2025. Comparison with SQ is AUD3200 in D, and MH is AUD2830 in Z. The Qantas/Royal Jordanian combo is the cheapest and best value if you don't mind two stops-which some people enjoy esp those with lots of time to spare in their travels. 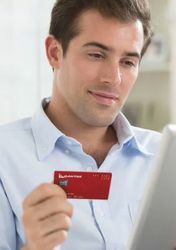 I have used BI once because I was able to score a J fare to LHR for $3600AUD RTN. BI fares in both J and Y are always very competitive! Have used them up to asia and paid $1800 return in Business. For about A$200 more each way in fully flat J seats,one can fly via MNL to the rest of Asia on excellent PR that has a full bar service and meal choices for different tastes, including pork. Who wants to be dictated to re alcohol, irrespective as to whether one is only an occasional drinker? We also ought not support vicious sharia law. I'm honestly astounded when I hear people lamenting 'dry flights'. I'm not a teetotaller by any stretch but the notion of being unable to go without a drink for 8-12 hours is a very curious one. I don't know about you, but when I book business class I expect full business class service, which means a nice glass of wine with my meal rather than a mere soft drink as I'd expect of economy, and if I feel like it, a glass of bubbles. As other commenters have said, to run a long international flight without flatbeds and with a reduced on board service compared to most other airlines, the fares should reflect that. I'd expect to pay closer to a premium economy fare for that kind of experience than what most other carriers would charge for business class on a comparable flight. Not so curious I think, David. There are some people that have an inherent fear of flying or just plain nervousness that find a single glass of port, wine etc is enough to calm their nerves. Same issue with those who may wish to sleep on a 7 hour flight. I'd rather see someone have a responsible single drink to help them get off to sleep than a face-full of sleeping medication. The other issue is that while many may defend this as a cultural / religious decision by the carrier, it is still available in an odd form to westerners. From the point of the average Frequent Traveller though, the idea of a complimentary 'welcome' drink is part of the 'hospitality' element of the soft product - and gee, each of the major alliances have conditioned us to that in order to provide a unified level of service. We also forget that an A320NEO is NOT an A380, B777, A350, A330 or B787 - so the ability to get up and have a wander around etc is not going to be present. What do you do when you are welded to your J class recliner or 30" (urrrgh!) pitch Y seat for 7 hours? You watch a movie or several .. and eat. Both things are conducive of the expectation of an accompanying relaxing drink. Doesn't mean you have to get blotto or abuse the privilege. A very well-reasoned response, thanks kimshep! Well-reasoned response by kimshep aside, the fact is that in the corportate world, there are a lot of high-functioning alcoholics. Pretty lame J product for 7 hours. Now that the Sultan of Brunei has started the introduction of strict Sharia Law I would not be at all surprised if there is a total ban on alcohol on board the aircraft as it is in Brunei. RBA used to allow you to BYO but that may now not be allowed and as non Muslims we were allowed to bring in a few bottles of wine or spirits and that's no longer the case either. Mind you if you are a member of the Royal Family you are EXEMPT from Sharia Law according the Head of Islamic Affairs Brunei. I believe non muslims are still allowed to bring in a specified quantity of alcohol. Its not the fact I cant have a glass of wine that would bother me, its more the fact being told that I cant have one or any alcoholic drink at all that bothers me. If I decide not to have one its my choice, I don't need an airline telling me I cant have one in J.
I will often go without - but on my terms, not some country’s verging-totalitarian laws. I’ll fly with someone else. You're told you can't smoke, either - is that a problem? If you don't want to "fly dry" from Brisbane to London you can choose to fly with at least a dozen other airlines. When the flew to Brisbane Maybe 20 years ago they were by far the cheapest to London. No doubt some will be interested if it is priced low enough. The only difference is there is more competition. They've always been the cheapest so I expect that will continue. The other difference is their is less inconvenience than their used to be - the flight used to be Australia->BWN->DXB->LHR. Now it's a one-stop flight so they might be able to charge more. Their product (on widebodies at least) is excellent and I'd expect the soft product to be the same on the smaller aircraft. Good to have options. Those who lament the lack of alcohol may need to look more at themselves than the airline. Going without for 7 hours is no different to not drinking at work during an 8 /9 hour day. It seems that duty free alcohol is still allowed in Brunei for non-Muslims. And with a fairly generous allowance too! I think being able to go for 7 hours without alcohol entirely misses the point. J-class is usually sold as as fine dining experience. And in most fine dining establishments, quality alcohol compliments the dining experience (lunch and dinner, anyway). It's not about going without, it's about a fine experience. I suppose we can all go without food and water for 7 hours if it comes to that. LCCs seem to know it. What bothers me more is the single aisle for 7 hours. I'd worry if they were flying a 737 on this route. But A320s are more tolerable on longer flights. BI’s frequent flight points get you nowhere. I’m a silver member with RoyalSkies and still have not figured out a way to redeem my 36,000 odd points. Seems like my information re taking alcohol into Brunei was incorrect. "Buying alcohol and drinking in public.Brunei's strict sharia law bans the sale of alcohol. But it's not all bad news for drinkers: Non-Muslims over the age of 17 have a generous duty free allowance. You can bring two litres of liquor or 12 cans of beer into the country every 48 hours." Not sure about drinking on the flight but can't see any reason why it could not happen. Might depend on the feelings of the Purser . But as I have said most people don't drink for the 8 hrs whilst at work so what's the big deal about doing the same on a flight. Makes it much more enjoyable when you can have a drink after you leave the flight. Something to look forward to. BWN is the most boring international airport to which I've ever been. My four single trips through it won't be repeated. Food "choices" appalling: very limited. In the first paragraph, 'alternative routes across Asia' are mentioned. Correct but omitted is that northbound, with a 1730 hours departure, almost all same day connections to Asian ports will be unavailable, so overnighting in that direction is needed. As it does ex Melbourne, BI may pay STPC (a free overnight hotel, transfers and perhaps meals) but while it used to be a serious competitor to airlines like PR for passengers bound for MNL, it won't be now as the vast majority of travellers on a seven or eight hour flight ex Australia to southeast Asia don't want a stopover. In the past, I've done BYO on some "dry" airlines. I've first asked the crew. So far it's been OK with them. I go days without alcohol at home, no problem. But I still like to have wine with dinner on airlines, especially in business class. Several comments have been modified or deleted to remove discussions of politics. Please keep your comments on the topic of travel, and more specifically this article. A drink on Royal Brunei is not a problem for the crew. Technically the alcohol must be served by a crew member in Australian airspace. Any alcohol greater than 100 ml must be purchased after you pass security in Australia. You are not able to consume any left over alcohol in the arrivals hall in Brunei. If you are transiting at Brunei the 100 ml alcohol limit will apply. Besides the alcohol and Sharia aspects, Brunei airlines will not take Israeli passport holders. Entry into the country by Israeli passport holders/citizens is forbidden. They have no diplomatic relations and the Sultan is very strict about this. There are 14 other countries that ban Israeli citizens from entry. Enjoy your flight. why would you fly with these prehistoric throwbacks? davidgfreeburn, that penalty has yet to be introduced but supposedly it will apply from next week. While many Australians do not approve of homosexuality or lesbianism, no one ought agree that stoning to death is appropriate as these activities have long been decriminalised here. There's also other horrendous penalties to apply in Brunei like cutting off one's right hand for an initial proven charge of theft, and removal of the left foot for a second such offence. These only apply to Muslims but are medieval. I've used this airline in the past but won't again. Nor will I ever visit Brunei again. While other countries have the death penalty for some offences - US, mainland China and Singapore among them - the moves by Brunei are abhorrent. Well articulated "traveller 14". It would be nice to be in a position on a global economical level,to be able to abstain from business interactions with any country that imposes sharia law on its citizens. Comment on "Royal Brunei will fly to Brisbane from June"